This webpage is updated regularly as new information becomes available. The process to prepare a new comprehensive airport master plan is underway. Naples Airport’s last master plan update was completed in 1997. Since then, there have been many changes at the airport and within the aviation industry. The primary goal of the master plan study is to create a 20-year development program to maintain a safe, efficient and environmentally friendly airport facility for the Naples community. To achieve this goal, it is essential to receive input from key stakeholders, which include the interested public and surrounding community, as well as the users and tenants of the airport facilities. May 1, 2019, 9-11 a.m.
During these open houses, NAA will provide information on the third working paper of the Airport Master Plan study. The information presented will include the recommended alternatives for the development of the airport over the next 20 years, including the various environmental factors considered when evaluating potential options. We will add you to our list to receive updates about the master plan and other important airport information. Scroll to the bottom of this page to sign up for emails. An Airport Master Plan is a long-range planning document that serves several important purposes for airport management, airport users, and the local community. 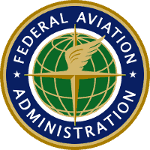 Airports receiving development grants from the Federal Aviation Administration (FAA) and Florida Department of Transportation (FDOT) are required to conduct periodic updates of their planning documents in order to remain eligible for future grants. The primary goal is to create a 20-year development program to maintain a safe, efficient, economical, and environmentally acceptable airport facility for the community. By achieving this goal, the document provides the guidance to satisfy the aviation demand in a financially feasible and responsible manner, while at the same time addressing the aviation, environmental, and socioeconomic issues of the community.